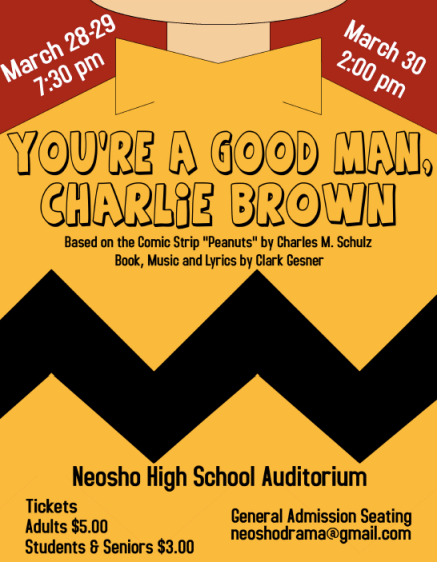 As I drove to Neosho, MO, this evening to watch the musical “You’re A Good Man, Charlie Brown”, I tried to remember when I had last seen a high school play or musical. I finally decided I never have! Even when I was in high school, I apparently didn’t make it to any performances. I’ve been to many college plays and musicals but this was a delightful first, watching a high school musical and especially, this one. My cousin’s son, William, (known in the family as Harry) has been involved in the Neosho drama department throughout his high school years. He is a fine actor. For the last two productions, he’s stepped into the demanding role of assistant director, something he has enjoyed. I was excited to see this musical since Harry is a senior and his time with this drama department is drawing to a close. It was fun during the second act to have him sitting in the row in front of his proud mama and me, and watch him as he watched the performance. I have to say, this was an extremely talented group of young adults. These kids can sing! And act and dance. I am very familiar with the Charlie Brown characters, made famous by the Peanuts comic strip created by Charles M. Schultz. And I was impressed with the portrayals of Lucy, Sally, Linus, Schroeder, Snoopy and Charlie Brown, the lovable loser who never gives up in spite of the fact that he rarely excels at anything. Senior Matthew Jemes gave a great performance in the title role, getting Charlie Brown’s perpetual downer attitude just right. Seniors Miranda Johnson and Jaclyn Kidd lit up the stage in their roles as Lucy and Sally respectively. Miranda captured Lucy’s sassy “crabbiness” quite well and Jaclyn gathered lots of laughs as the pragmatic younger sister of Charlie Brown. Senior Joey Heflin drew the chuckles too as Linus, the thumb sucking, blanket carrying younger brother of Lucy. And the Blankie Dance was amazing! Senior Isamo Manuel played Schroeder, the musician, and object of Lucy’s crush. I enjoyed his voice and loved the Beethoven Day number. 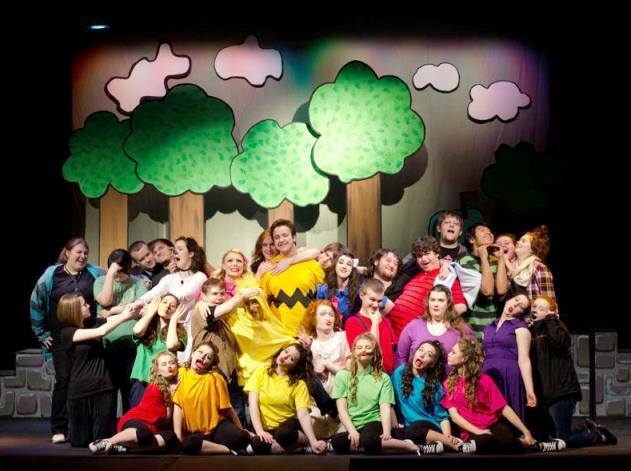 Junior Elizabeth Armstrong, playing Charlie’s beloved dog Snoopy, completed the ensemble of main cast members. She was witty and I especially enjoyed her and the dance chorus in the fun number, “Suppertime”. I was tired as I drove to Neosho High School. But I left energized and smiling after an outstanding performance. I hope these talented young men and women continue to take the stage in college and beyond. The musical is being performed at the Neosho High School Auditorium, with a 7:30 show Saturday evening, March 29 and a 2:00 matinee Sunday, March 30. Tickets are $5.00 for adults and $3.00 for students and seniors.